Following the Big Ten’s release of the conference schedule, Indiana released its complete schedule for the 2018-2019 season on Tuesday afternoon. BLOOMINGTON, Indiana – The Indiana University men’s basketball team will play 20 Big Ten games for the first time in school history and will face five high major programs and a conference champion during the non-league portion of their ledger as the program announced its 2018-19 schedule Tuesday afternoon. Television designations and starting times will be announced at a later date. Six players return who started at least nine games a season ago for last year’s team which finished 16-15 and 9-9 in the Big Ten. The team’s recruiting class of five freshmen signees and one graduate transfer has been rated as high as 7th in the country. IU will play 12 true road games for just the fourth time since the 1996-97 season and first since the 2005-06 season. 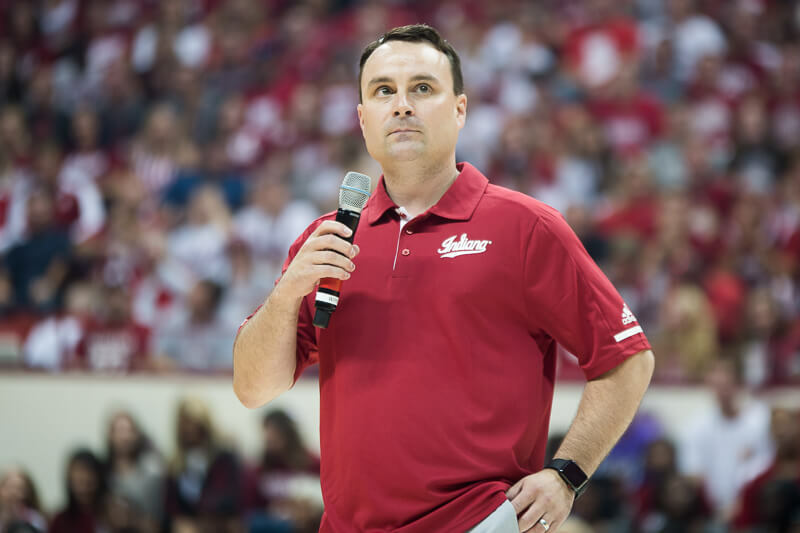 Hoosier Hysteria on September 29 will mark the official tipoff for the 2018-19 campaign. 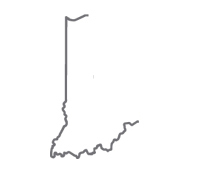 The Hoosiers will play Southern Indiana (November 1) in their lone exhibition game. It will be the second-ever exhibition contest against the Screaming Eagles. IU won the first matchup, 83-68, on October 26, 2013. The regular season opener will be against Chicago State (November 6). This will be the fourth meeting (IU leads 3-0) and first since beating CSU, 100-72, in 2013. The squad will compete in the four-team Hardwood Showcase. IU will play home games against Montana State (November 9), UT-Arlington (November 20) and defending Big West Champion UC Davis (November 23). IU will travel to Arkansas (November 18) and the Razorbacks will visit Assembly Hall next season. IU is 2-0 against Montana State with the teams last playing in Bloomington in 1986. The Hoosiers have never faced UT-Arlington or UC Davis and have a 1-1 record against Arkansas with the teams last meeting in the 2008 NCAA Tournament and the Razorbacks have been to the NCAA Tournament each of the last two years. The Hoosiers will host Marquette (November 14) in the Gavitt Games. The Golden Eagles won 21 games a season ago and are predicted to compete for the Big East title this season. IU leads the series 7-2 with the last meeting coming in the 2001 Great Alaska Shootout. Marquette makes its first appearance in Bloomington since the 1985 NIT. IU is 1-1 in the Gavitt Games having defeated Creighton at home in 2015 and losing at Seton Hall a season ago. IU will meet Duke (November 27) in the Big Ten/ACC Challenge for the third time in four years. Duke won 91-81 in Simon Skjodt Assembly Hall last season and the Hoosiers return to Cameron Indoor Stadium for the first time since 2015. Duke is ranked third in the country in the ESPN College Basketball Preseason poll. Duke has a 6-3 lead in the series and has won the last four meetings. The final game of a three-game series with Louisville (December 8) will take place in Bloomington. It will be the first trip for the Cardinals to Simon Skjodt Asembly Hall since 2002. The Hoosiers play Butler (December 15) in the 2018 version of the Crossroads Classic. IU is 4-3 in the event. Butler advanced to the second round of the NCAA Tournament last season. IU finishes the non-conference sked at home against Central Arkansas (December 19) and versus Jacksonville (December 22). The Hoosiers have never faced UCA and are 2-0 against Jacksonville, who lost 93-59 in Bloomington in 2012. IU will open conference play at home against Northwestern (December 1) and will visit Penn State (December 4). IU defeated the Wildcats 66-46 in Bloomington a season ago. They also will meet in Evanston (January 22). The string of close games against the Nittany Lions continued a year ago with IU collecting a 74-70 home win against the NIT Champions last season. Following Christmas break, the Hoosiers jump back into conference play with a home game against Illinois (January 3). The two teams split their meetings a year ago. IU then begins a stretch of six of the next nine games on the road. The Hoosiers face national-runner up Michigan (January 6) in Ann Arbor. Michigan defeated the Hoosiers in their only meeting last year in the Big Ten opener. IU then goes to Maryland (January 11), a team it beat in Bloomington 71-68 last season. IU is back home against Nebraska (January 14), the Cornhuskers took the only meeting last year in Lincoln, before going back on the road against Purdue (January 19). The Boilermakers captured both contests a year ago, and the two teams will now meet twice a year from here on out. After a return game at Northwestern, the Hoosiers have a home rematch against Michigan (January 25) and a road game at Rutgers (January 30). IU is 4-0 all-time in games on the Scarlet Knights home court. The stretch concludes with a matchup at Michigan State (February 2). The defending Big Ten champions won both meetings with IU last season. The Hoosiers return home to face Iowa (February 7) and Ohio State (February 10). IU swept the season series with the Hawkeyes last season and fell to the Buckeyes twice including a thrilling double overtime contest in the season finale in Bloomington. The Cream and Crimson returns to Minnesota (February 16) where it took home a 75-71 win last season. The Hoosiers then host Purdue (February 19) and visit Iowa (February 22). IU will look to avenge a road defeat last season against Wisconsin (February 26) at home and welcomes in Michigan State (March 2) in what should be a festive Saturday clash. The Hoosiers finish the season on the road at Illinois (March 7) and at home for Senior Day against Rutgers (March 10). The Big Ten Tournament returns to Chicago’s United Center which will be held from March 13-17. In the coming weeks, a Holiday Break ticket package when students are out of school will be available to purchase which should include games against UT-Arlington, UC Davis, Central Arkansas, Jacksonville, Illinois and Rutgers. Since Simon Skjodt Assembly Hall was opened in November, 1971, IU has ranked in the top 10 in attendance in 40 of the last 46 seasons. Last year, the Hoosiers finished 10th in the nation in home fan support.
? The 2018-19 #iubb schedule is HERE! ?